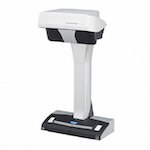 So you have two things: 1) A ScanSnap iX500, S1500/M, or ScanSnap S1100, and 2) a document that is too wide to fit in the ScanSnap’s document feeder. How the heck do you scan it? One option is to use a Carrier Sheet. The ScanSnap iX500 comes with one, or you can buy a 5-pack on Amazon. 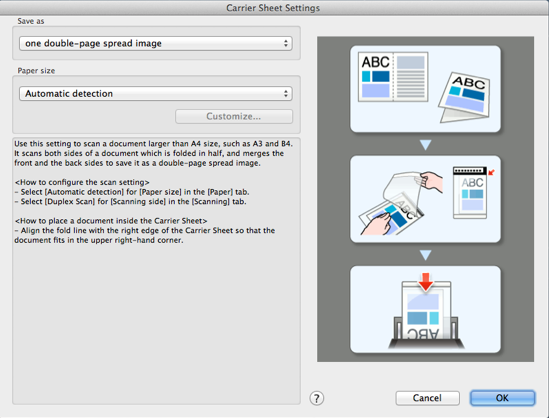 These carrier sheets are handy for scanning small, oddly-shaped, or delicate documents, but what is less known is the ScanSnap’s built-in ability to let you fold a document, put it in the carrier sheet, and have it automatically stitch the PDF back together. You probably don’t need to do anything to get all this to work. 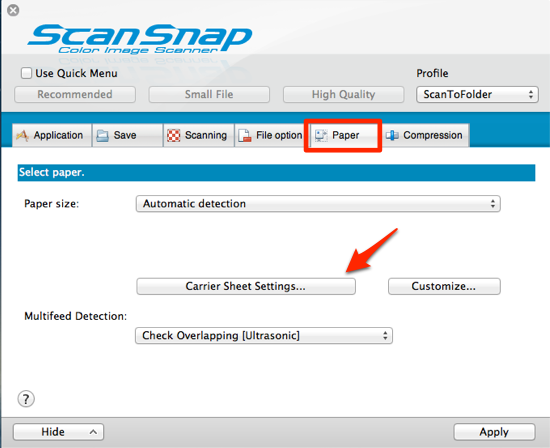 The ScanSnap Manager software detects when you are using the Carrier Sheet and should act appropriately. 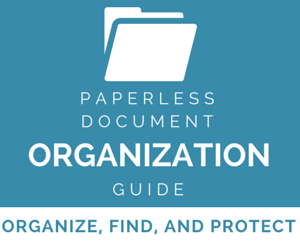 However, if you want to have some control, go into your ScanSnap Manager Profile, and go to the Paper tab. You’ll see a button titled Carrier Sheet Settings…. Click it. A pop-up window will appear, and it will guide you through the rest of the way. For our purposes, in the Save as drop-down, we will choose one double-page spread image, which will stitch together the two sides of our folded document. 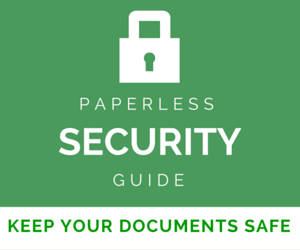 If you are scanning delicate or small documents, you will probably want the other setting. That’s not what we’re doing here. You can also adjust the paper size if you need to. I just leave it at Automatic detection myself. 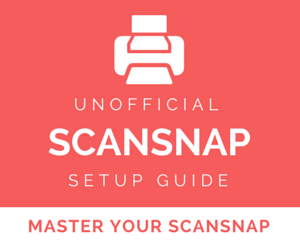 Once we have our ScanSnap settings sorted out, it is time to get started. I have this document that is too wide to scan. I folded it in half, and slid it in the Carrier Sheet that came with my iX500. The trick with this is to have the folded edge as far up at the top and to the right as possible. I then put it in my ScanSnap and hit the Scan button. You can see the resulting PDF here. I am personally impressed with how it stitched the two halves together. You’ll notice that there is a slight line down the center. This will be more or less pronounced depending on how good you are at lining things up on the right-hand side. I suspect that many ScanSnap owners leave that Carrier Sheet sitting in the box. I recommend that you play around with it if you have a scanner that supports it. It is quite handy. I’d like to use the carrier sheet to hold together some rough documents. They scan fine, but the software always uses the carrier sheet setting that combines the front and back onto a single image instead of subsequent pages. I am using the ScanSnap cloud application with Evernote, and I can’t find anyway to correct this setting. Does anyone know how I can adjust it? 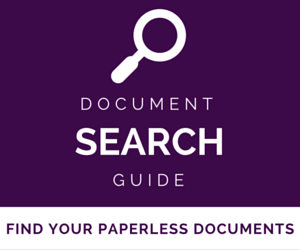 I recently read your help information concerning how to use a carrier sheet for wide documents. It was very interesting and helpful. However, I need some additional information on how to get a 8 1/2′” x 14″ carrier sheet for some legal sized documents that are on very delicate paper and really do require a carrier sheet of that size. I have a Fujitsu S1500 scanner. Please help! I have searched your website as well as eBay and Amazon and to my chagrin have not found any legal size carrier sheets. Sorry Debra, I haven’t been able to find any either. I’ll let you know if I come across some. It might be worth searching out some Genealogy forums and see if anyone has come across that. If anyone has used them, it would be them. Since the S1300i doesn’t “officially” support the carrier sheet (no idea why), there isn’t really a way to avoid the banner etc., other than editing the PDF after the fact. I have the ScanSnap S1300i. Will it work with that scanner? OK, after checking my actual Settings in ScanSnap manager for my S1300i, there is NO button for carrier sheet on the Paper tab nor any other setting that looks like it will enable carrier sheets. How will it work then? You can scan with the carrier sheet with the S1300i, but as you say there isn't an option in the software (no idea why). 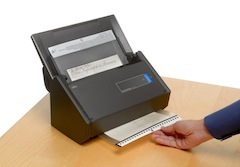 So, you can use it to scan small/delicate documents, but I don't see how you'd do the wide/folding thing. You can scan with the carrier sheet but I haven’t figured out a way to eliminate the checkerboard and instruction banner from being included in the scan. Has anyone else figured this out with the S1300i? Does it combine them into one, but has the checkerboard?Can you use the crop function to get rid of the checkerboard? I have a ScanSnap S1300 and read about the carrier sheets. I bought a set of 5 from Amazon. I use mine mostly to be certain of no problems scanning tiny, flimsy receipts, but thanks for the tip about other uses as well. (I gave one of my 5 sheets to a friend who bought his S1300 after seeing mine, so he wouldn't have to buy a set of 5–possibly a lifetime supply! That was my question after reading this article: will it work with the S1300? Glad to hear that it does, and I am going to have to get a set!